Supports up to 300 lbs. 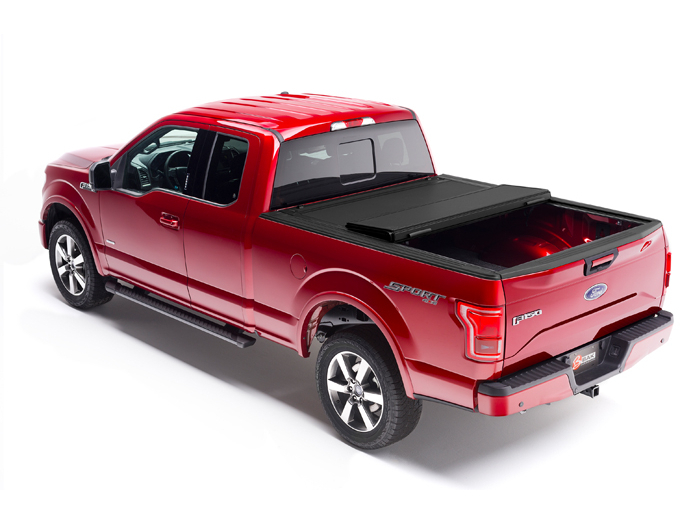 While there's certainly plenty of tonneau covers to choose from, if you want some of the heaviest-duty and toughest folding tonneau cover systems around, you'll need to have a look at BAK Industries and their BAKFlip MX4 tonneau cover. 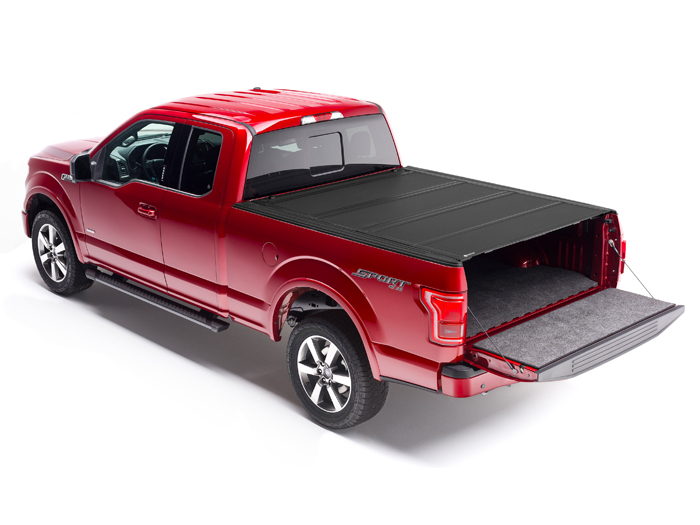 The BAK MX4 Tonneau combines extremely strong aluminum panels with a light-weight core and a drop-in rail system that makes it an excellent choice for keeping the gear in your truck's bed secure while still having an easy-to-use folding tonneau cover system. 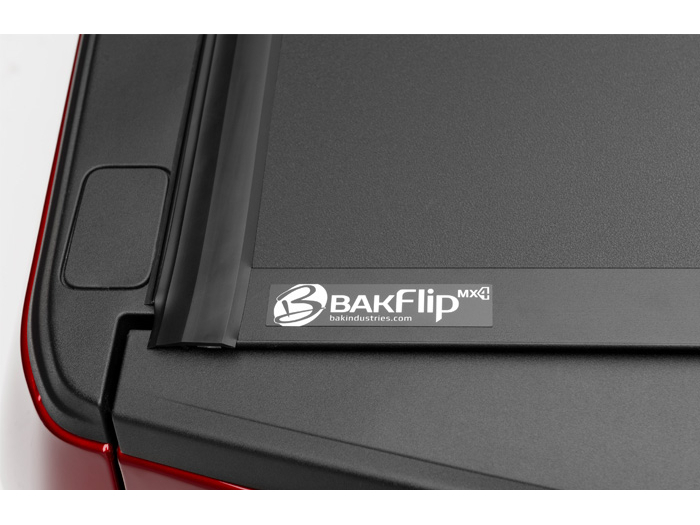 The BAKFlip MX4 features BAK's classic tri-fold tonneau design that helps maximize bed space when the tonneau cover is folded and is light enough that one person can fold and unfold the tonneau cover in only a matter of seconds. 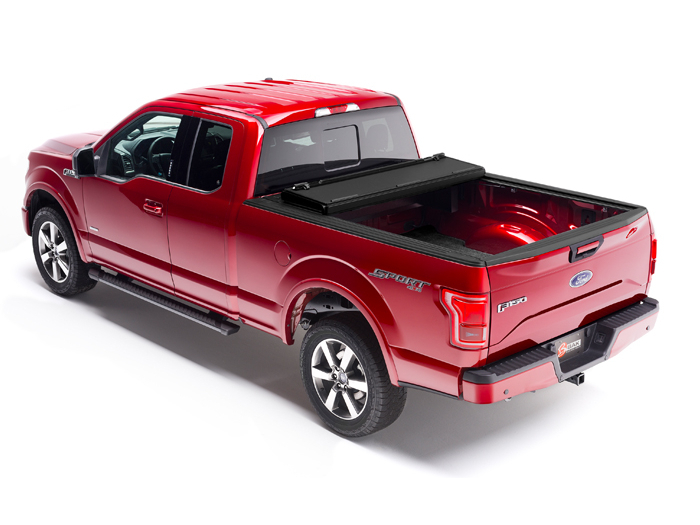 The tonneau cover's aluminum panels are strong to hold up to 300lbs of dispersed load on top of the tonneau itself, which gives you more options for cargo management. 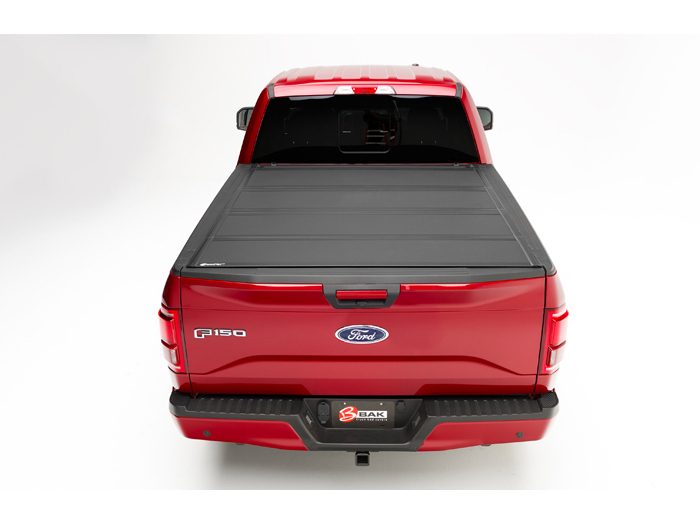 BAK builds each MX4 tonneau cover to be extremely strong to both resist the elements and everyday abuse, and to keep unsavory folks out of your bed and your gear secured. 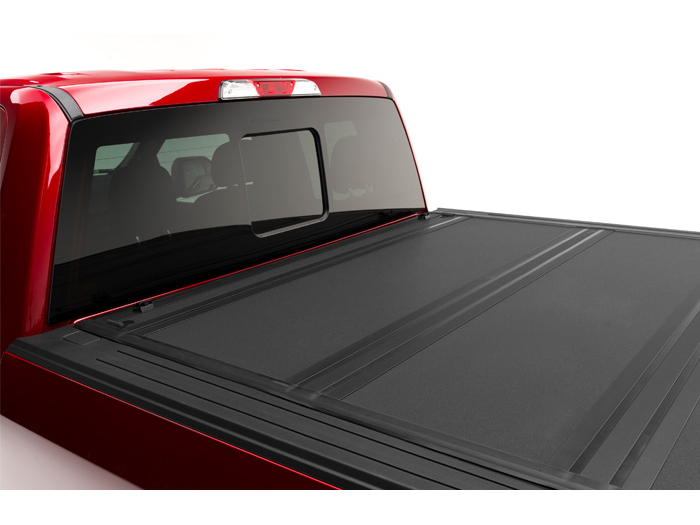 Each of the folding panels are made using high-strength aluminum plates that are then powder coated in a black wrinkle finish for a great look and resistance to corrosion. 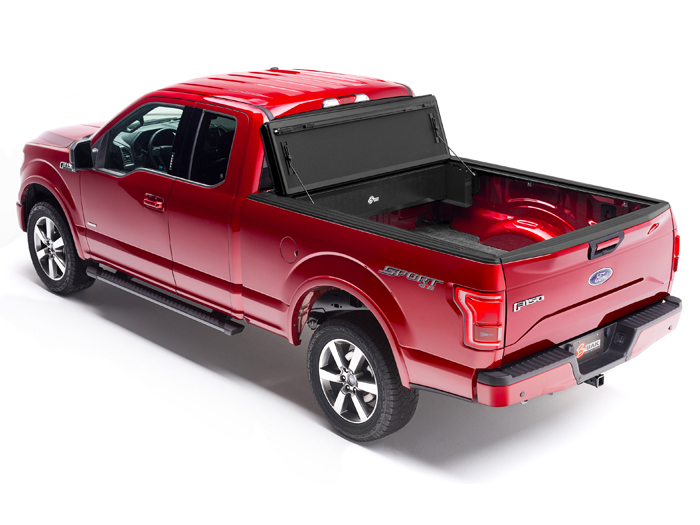 Between the aluminum, the panels have a core made out of insulated EPS foam that keeps the overall weight of the panels down so that the tonneau cover is easy to both install and fold. The panels are each 1/2" thick and their hinges are protected by corrosion-resistant EPDM rubber to ensure flawless operation for years. 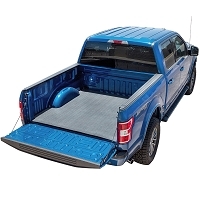 The tonneau cover drops right into your truck's bed without any drilling or permanent modifications and comes with installation instructions and hardware. There are so many hard folding covers to choose from that I have no idea what is the difference in them all. Even BAKFLIP has four different ones here. 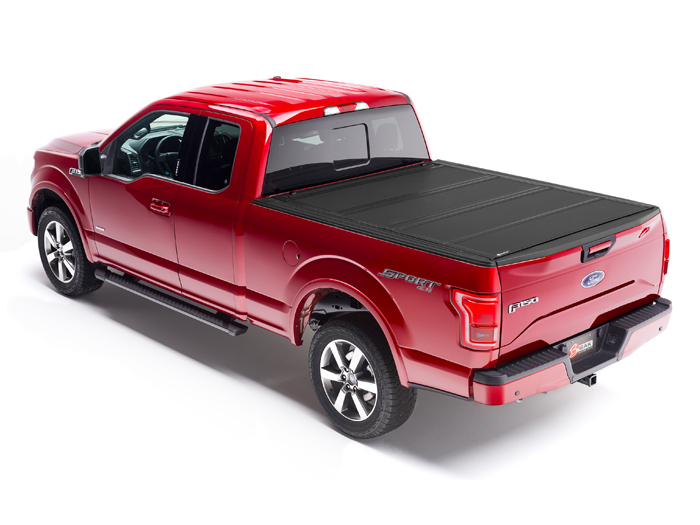 I have a 2016 F150 and also the bedrug ultra bedliner. 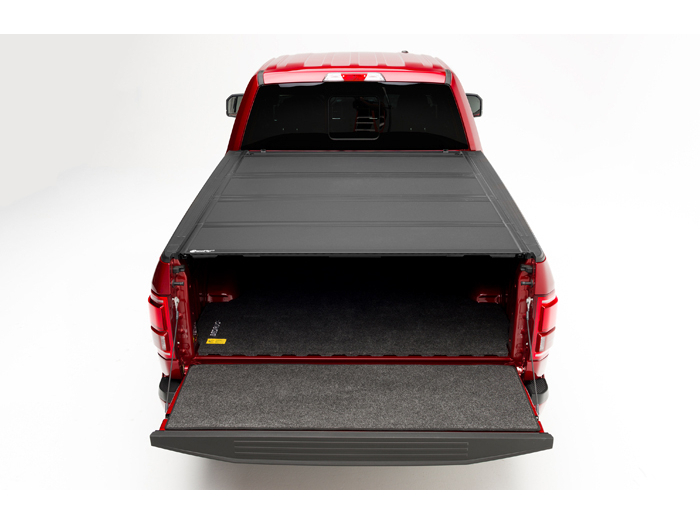 I wanted a hard folding cover that when I lock the truck it is secure, and also allows me to just open the tailgate. What is the diff between these and what do you recommend? 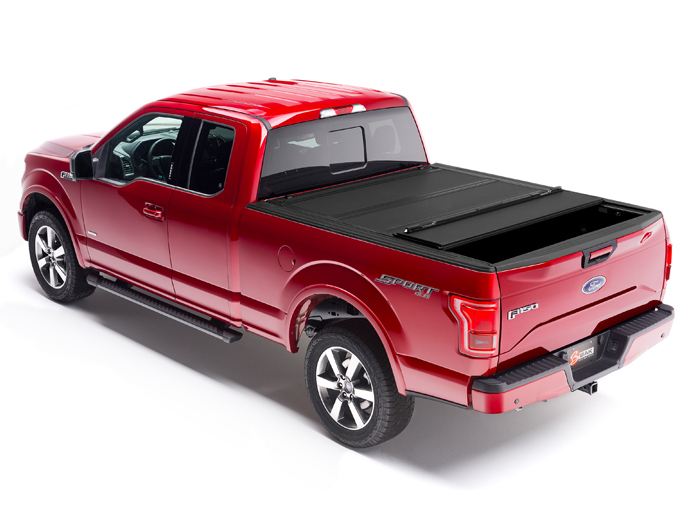 So, the good news is that just about any folding tonneau cover will get you what you want, in that basically all of them fold and lock in place while allowing you to lower the tailgate when they're covering your bed. The bad news is that (as you've pointed out), there's a ton of folding tonneaus to choose from. When it comes to BAK's covers, you have to kind of break it down by material, since BAK has all-aluminum covers, fiberglass-topped covers, and vinyl-topped covers. The two all-aluminum covers are the BAKFlip G2 and the MX4, the only real difference is that the MX4 has a Matte Black finish, while the G2 has a more standard stipple black with a gloss look. The two fiberglass-topped covers are the FiberMax and the F1, with the key difference between the two being that the F1 is stronger and more heavy-duty. 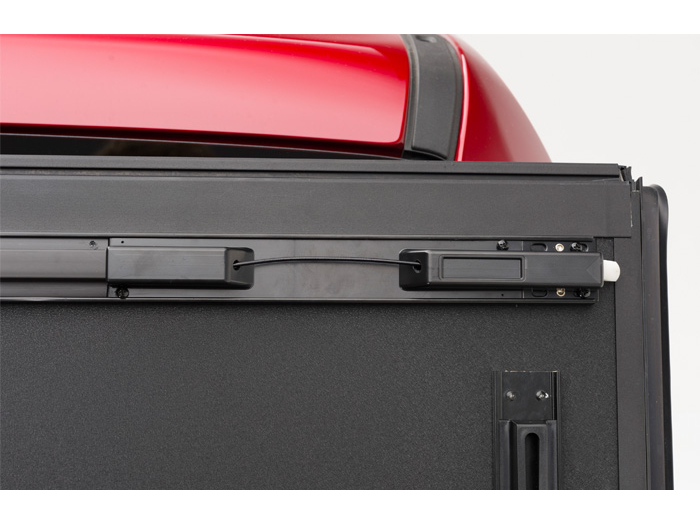 Last, but not least is the vinyl-topped BAKFlip VP, which still has aluminum core panels, but the vinyl outer layer makes it more budget-friendly. Personally, we like the BAKFlip G2s. They're middle-of-the-road price wise when it comes to BAK's covers, solid construction, and very secure. 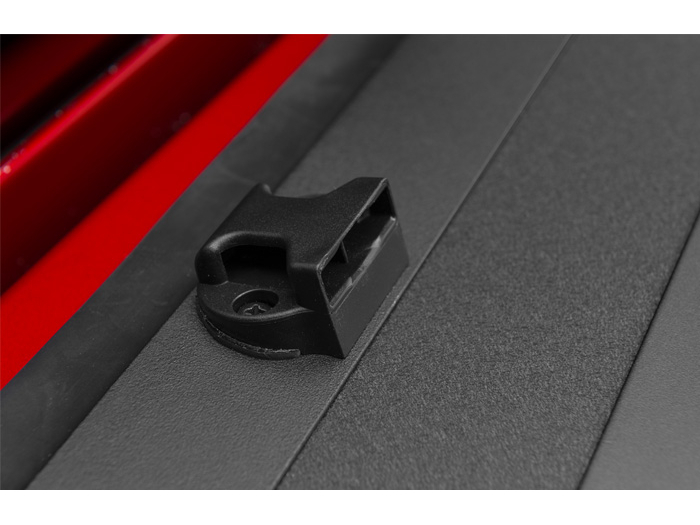 The BAK website says the MX4 has a new feature where you can open and close the tailgate without opening the cover, which the G2 cannot do. Does the MX4 you are selling have this new feature? 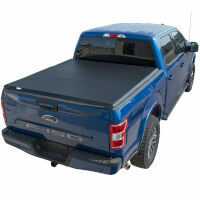 You can open the tailgate with the tonneau cover closed with this tonneau cover. 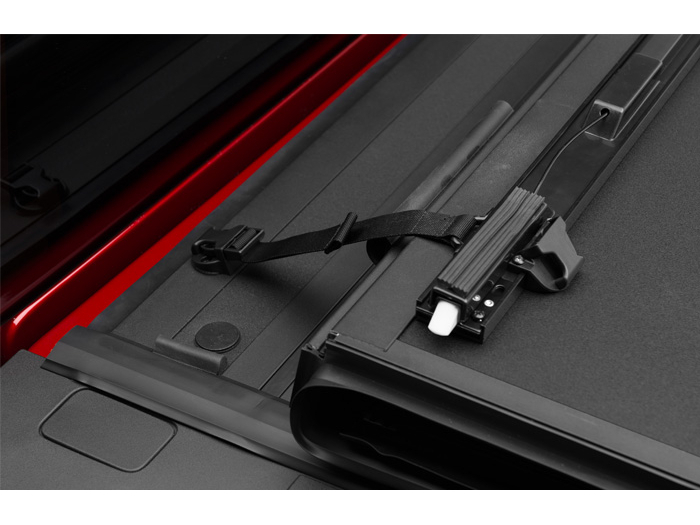 However, on the G2 and other BAK folding tonneaus, you can open the tailgate without opening the cover. 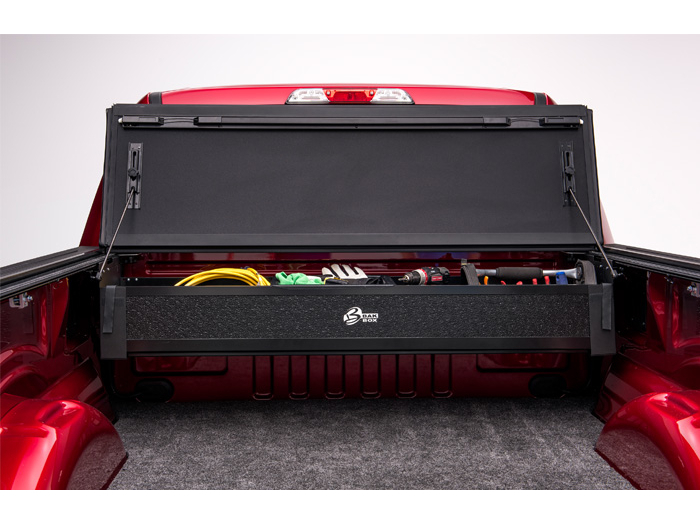 In fact, you have to open the tailgate to access the pull wires to even get the tonneau open with all of BAK's folding tonneau covers. Unless you mean some other feature? Was this answer helpful? 0 of 1 Found Helpful. The F1 is technically more resistant to surface dents and abrasions, but unless you're dealing with large hail or regularly dropping fairly heavy tools on the thing, the MX4 has similar overall structural strength and the rail systems are identical. Only the MX4 is matte. The F1 has a gloss finish. 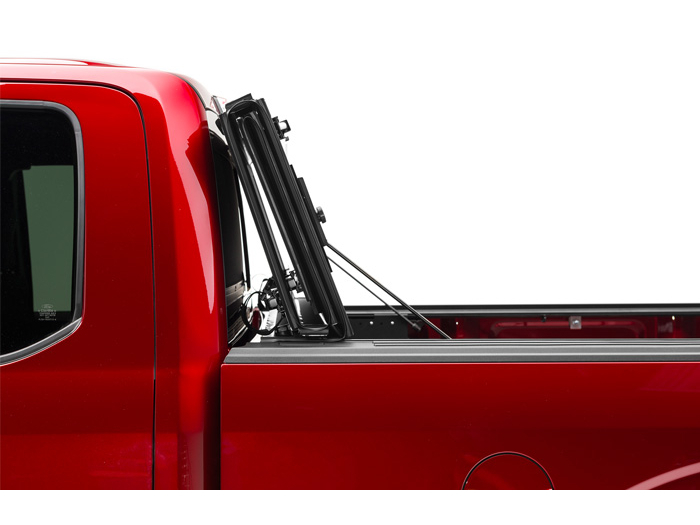 We've ran G2 covers (the MX4's glossy cousin) on a lot of our trucks, and we've never had an issue with one. Granted, we don't usually have hail problems in Arizona.